Get into the car of your dreams, for less than you may have thought possible. One that has been rigorously inspected, and that comes with roadside assistance and a generous warranty, too. There has never been better, or more, reasons to drive what you’re really want to. Contact the dealer for more information. **Original sale date is the date of sale or in-use date, as reported to Jaguar Land Rover North America, LLC. Jaguar Approved Certified Pre-Owned cars have been hand-selected from only the finest, most carefully maintained Jaguar vehicles available from the previous five model years. The entire range of Jaguar products is available, from the stunning XF luxury sports sedan to the elegant XJ premium luxury sedan to the legendary XK coupe and convertible to the breathtaking F-TYPE convertible. All Approved Certified Pre-Owned Jaguar vehicles come with a vehicle history report which you can review prior to your Jaguar purchase. 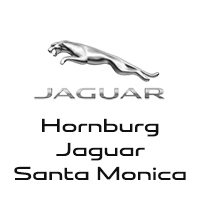 Every Jaguar Approved Certified Pre-Owned vehicle is carefully scrutinized and evaluated as a function of a comprehensive 165-Point Inspection process. The Jaguar Roadside Assistance Program comes standard with all Approved Certified Pre-Owned vehicles. This means all Approved Certified Pre-Owned Jaguar vehicle owners have the benefit of 24 hour, 7 days a week emergency roadside services for unforeseen events like flat tires, battery jump starts, keys locked in the car and running out of fuel mid-trip.